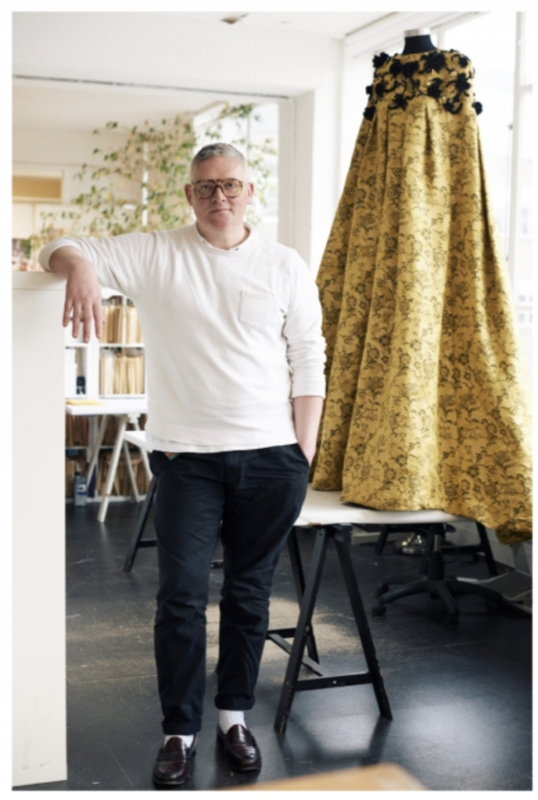 The Giles Deacon Studio is in the Old Truman Brewery; and I think you can’t get more London that that. Do you think being in London is intrinsic to your brand? This is actually my third different office space in here. I had a different space in the mid-to-late nineties, then moved to a larger space, and then moved back here six years later. The Old Truman Brewery has really been at the centre for the whole east-end rejuvenation; enabling designers to have spaces to work and build up a community of artists where everyone knows everyone. It has changed the whole brick lane scene! While it has always been a very cosmopolitan community, it is now a worldwide destination for tourists, while also being a creative melting pot. Being in London is definitely intrinsic to my brand; and it's really important to have a studio here. Even if I worked all over the world, I really love the atmosphere here — there is always something going on! Throughout your career, you’ve had several playful collaborations from Mulberry to New Look, and even Müller! How do you go about finding the right brands and the right people to collaborate with? I think Mulberry is a really good example. Stuart Vevers was working there at the time; and we had worked together before and I knew the product really well. At the same time, we would also do things like Müller, which was really fun and playful. I illustrate and draw and awful lot, and Müller was a fun way to get our name out there which in turn helps my brand. We also have a line with Debenhams and its very important for their customer as well - I just like the democracy of it all! Even with yoghurt you can get a piece of Giles Deacon. You’ve made several TV appearances throughout the years; becoming a judge in Britain’s Next Top model, and starring in New Look Style the Nation with Barbara Horspool. Do you want to do more TV? I love doing TV. The first time I ever did television was for Britain’s Next Top Model which was lots of fun; we had Isabella Blow and Elizabeth Hurley who did the presenting. Style The Nation was interesting as I was presenting with Nick Grimshaw, who was well on the way to becoming the household name that he is today. We did that for six weeks every Saturday morning at 7 am, and it was a real eye opener to the commitment of TV. I really enjoyed it and would definitely do some more. This year was a big year for Giles Deacon, with the launch of your first couture collection. What inspired you to go in this direction? We’ve been doing private client sales for quite some time; and there has been a lot of interest on the couture side of the company. I feel really passionately about the combination of traditional techniques and modern technology. I felt that in order to stand out, I needed to have my vision for the next ten years ready — and that was couture technology. We slowly started working on our first couture collection, and we’ve had lovely order from private clients and worked with some shows and trunk shows independently. The technology is really fascinating. We can now have clients make avatars of themselves and make mannequins through 3D modelling, which cuts down fitting times. For me, I like to keep everything fresh and new. The system we know is broken to a degree and is very confused in the direction it is going; whether its see-now-buy-now, or the changing fashion calendars. It’s really difficult for a small label to do something really special, and to give people something that they can respect and are willing to wait for. Made-to-measure is something really special, and is a way to get the uniqueness of the pieces — no two pieces are the same. What are you working on now? 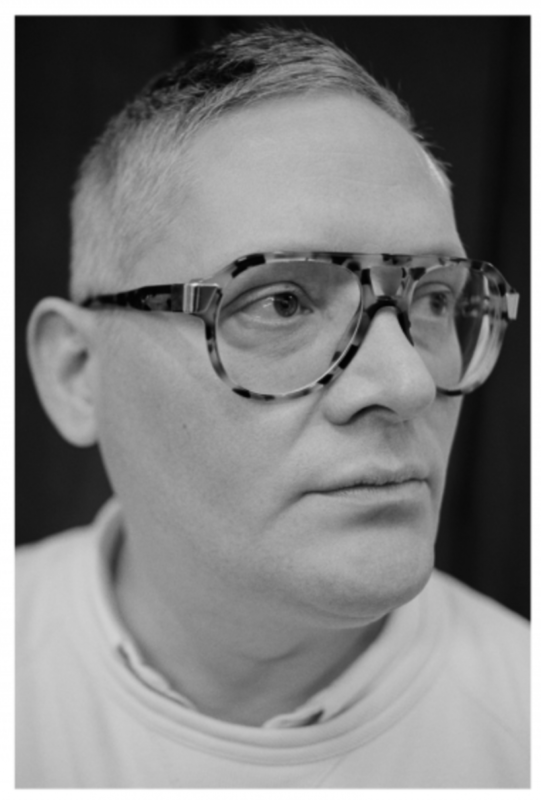 What can we expect from Giles Deacon in 2017? We are currently working on our couture show in July and I think that there’s going to be a more technological aspect implemented into the collection and into the business. We want to continue to build in the direction we’ve chosen to go on. We’ve got an e-commerce platform which is about ready to finish, and it’s going to link directly to the couture collection. There are gonna be elements of prints and jacquards in the collection which could then be made available in a varied product range — a very beautiful beach towel for example. There are all sorts of ways that we can think of incorporating the couture elements into a bigger world. Finally, how do you think designers like yourself have changed and continue to change the face of London Fashion? We are a fourteen year old label now, and we are continuing to follow our path. I’ve never been one to do what everyone else does, and I’ve always tried to keep what we do different from everyone else. I think there’s a lot of brilliant things happening in the London fashion scene, and that’s what is great about London - everybody really does their own thing and that makes it unique from other fashion capitals.